Floros Floridis, soprano and alto saxophones, clarinet, YamahaCX5 computer; John Mourjopoulos, Yamaha DX7, CX5, RX15, ETI 4600. 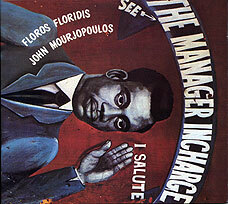 Recorded by J. Mourjopoulos in his home studio, March-April 1987. Cover painting (reproduced above) by Middle Art.